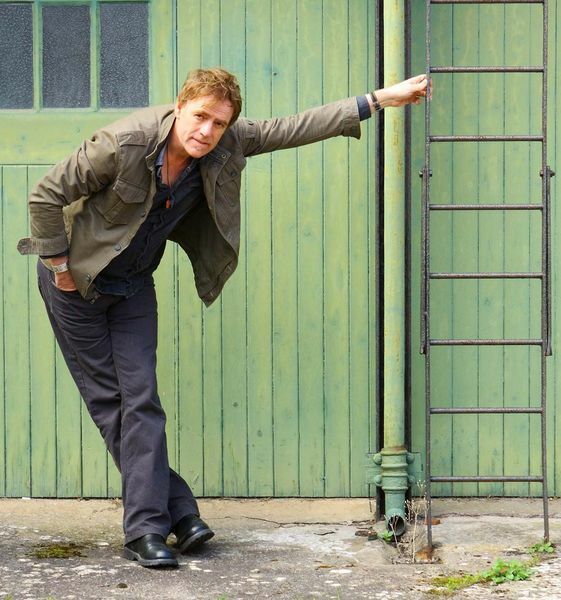 In the world of folk music Martyn Joseph as been described as the "Welsh Springsteen". Joseph along with U.S. album producer Mason Neely and special guest, the BBC Radio 2 Folk Awards Double Nominee, Luke Jackson, will be on tour in the UK this April (for details see bottom of page). Bob Harris has compared him to the finest of wines while Classic Rock has described his powerful and prolific material as “As honest as music can get”. A gifted guitar player with a juggernaut voice, he has an enviable high-level connectivity with his audience whether it’s an arts centre in his native Wales or a 5,000 strong crowd at the Royal Albert Hall. Three decades, half a million album sales and 31 albums on, Cardiff’s charismatic and unstoppable Martyn Joseph continues to garner fans everywhere with his uncanny melting pot of both robust and fragile material - roots to rock, blues to jazz, Americana to folk. He won the Best Male Artist title in the BBC Welsh Music Awards whilst his wistful 'There’s Always Maybe' from penultimate album 'Under Lemonade Skies' won the global Independent Music Awards Best Folk Song category. In demand on both sides of the Atlantic the ever inspired singer songwriter will return from another North American tour to launch into a spring tour of England and Scotland, running from April 9-21, kicking off with a capital performance at London’s Green Note and taking in cities from Bath to York. 'Songs for the Coming Home', released last autumn. Martyn, who has toured both solo and with the likes of Ani DiFranco, Art Garfunkel and Jools Holland has five Top 50 hits to his name (including Dolphins Make Me Cry and Please Sir). For this tour he will be joined by the American-born producer of 'Songs for the Coming Home' – the UK based drummer and multi-instrumentalist Mason Neely, who has also worked with artists including Cerys Matthews. Neely (left, with Joseph) was responsible for the big, lush arrangements on 'Songs for the Coming Home' which contrasted sharply with earlier sparse, stripped back albums. On the road they should prove a fascinating and organic partnership – with Joseph’s gigs often a disarming rollercoaster ride and Mason excelling as a multi instrumentalist on any given night anything could happen! Mason will appear at seven of the April shows whilst opening all bar the Scottish shows will be fast-rising 18 year old singer songwriter Luke Jackson. Signed to Joseph’s Pipe Records label Kent-based Luke was a double nominee at January’s 2013 BBC Radio 2 Folk Awards - shortlisted for the Horizon Award (Best Emerging Talent) as well as the Young Folk Award – thought to be an unprecedented “double” in the same year. He has enjoyed national airplay from the likes of Bob Harris and Mike Harding, been a studio guest of Aled Jones on Radio 2’s Good Morning Sunday and appeared on BBC South East TV. In a busy year with innumerable gigs and festival appearances, including one-off support dates with Oysterband and Karine Polwart , Luke will continue to showcase his critically acclaimed debut album More Than Boys on the tour, providing a perfect opportunity to catch one of the new “must see” young acts on the roots scene. * All dates with Mason Neely except April 12, 13, 14 and 21. Luke Jackson opens all shows except April 13 and 14.